Having been the Head of Leadership Development for Retail, at Marks & Spencer PLC, Michelle understands what it takes to get people performing at their best. She was responsible for the M&S move into Germany, developing the national leadership team for future expansion and her vast experience ranges from leading large corporate teams to building small businesses and establishing Global Enterprises. Despite having accomplished a rapid ascent in the corporate world, Michelle was seeking something more personally fulfilling and she started her own Leadership Consulting and Training business in 2006. 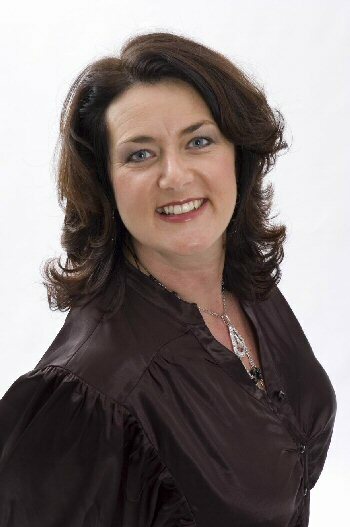 Using Roger James Hamilton’s world leading Entrepreneur Training Tool, Wealth Dynamics, for her Team and business success, within 12 months Michelle had built a business that allowed her to earn more than her corporate career had, whilst taking time out to travel and speak globally. Michelle takes time out of her busy schedule to share her secrets of building high-performance teams. In today’s fast changing and extremely volatile trading environment, large and small organizations are experiencing challenges, the likes of which haven’t been seen for over 50 years. According to the recent report Creating People Advantage: Talent Management is the number one challenge for organisations in every region and industry today. Ensuring employees are performing at their best, increasing their productivity and occupying roles best fit for their strengths and talents is crucial for business sustainability and growth. Absence from the workplace in the UK alone last year cost £11.6 billion! Low morale, cited as one of the primary causes of this dramatic increase in workplace absence, which often has a direct impact on the disruption in work flow. According to the Training Journal – 50% of workers resign due to poor quality management and managers who are not sufficiently trusted or reliable in delivering the value they are expected to. By not having the right leadership and talent management in place, organizations are losing high-quality members of staff who have frankly ‘had enough’ to their great detriment. Quality Graduates are now increasingly assessing potential employer’s attractiveness by the values of the organization and its level of trust in the marketplace. In a complete recruitment turnaround, they are doing the choosing now. Today, it is the trusted organizations and the trusted brands that find their products more and more attractive, their staff are shown to be more loyal and productive, and their market share is rising. They know that the key to their continued success is to nurture that trust from individual to individual, from team to team and from organization to customers and shareholder. They know that the way to build that trust at all levels is through increasing value, collaboration and flow. This is the real basis of Talent Dynamics. What we do when we work with large teams is to directly connect the natural talents of the companies most important resource, its people, to high individual and team performance, resulting in sustainable profitability. We measure the level of trust and flow through the organisation at the scale of the individual, team and company and then deliver a series of tools that empowers each individual to increase their effectiveness within the corporation. What can I do about it with my team? Whatever size your organisation or team is, it’s likely that some of what I’ve just shared will be landing home for you too. There are so many really important techniques that we use in Talent Dynamics, that I would love to share with you but for the purpose of this article, I’m going to share 3 very practical ones, that you can begin to work on with your team right now. One of the quickest and most effective ways to start to create a high performing team (and in my view, the most important one to get right from the start) is to have your team highly connected to the purpose of your organisation. Most organisations think their primary purpose is to make profit, when actually it is to add value: value to the market or community it serves and then to leverage that value profitably. High performing teams understand, that when an organisations fails to add value, it soon loses its place. The more value it adds, the greater its place. When an organisation fails to leverage effectively, the cost of its resources exceeds its output and it soon loses profitability. The more effectively it leverages, the greater its profit. This is a critical first step in building a high performing team, so please give it the attention it deserves. Discover what it is that makes you and your team members ‘tick’. Then, align your organisations accountabilities with peoples talents and preferences and you will see how everything changes. A recent client told me that “Talent Dynamics… has greatly accelerated both our learning and ability to put in place the vision for the substantial growth we are in the process of achieving” Imagine working in a team, where everyone gets to do the stuff they are really good at and really enjoy and through doing this, everything gets done by the best person. How much more fun can you have when this happens? When you understand the natural talents of individuals, you will also very quickly find out if you have the right balance of profiles in your team and who you could be missing just now to really accelerate your business success! We call this PSR (Personal Social Responsibility) We help organisations and teams to actually measure the level of trust and flow at individual, team and organisation and look at specific ways of increasing those scores. A key to getting into flow, is that you can only get into it by getting others into it. This calls for understanding step 2 really well first. Once you know what makes the team members tick you can help them to get into flow much more quickly. The level of Flow in your organisation is determined by the personal effectiveness and fulfilment of each employee. Having employees in Flow, results directly in the attraction and retention of your staff and ultimately, your customers. As employees get into flow, so does the whole team and so onto the Organisation. When individuals are in their Flow and the whole team has a balanced dynamic – each member contributing to the overall Flow of the team – levels of innovation, creativity and effective action soar. Absenteeism, inertia, procrastination and negative attitudes disappear By implementing just these 3 steps in your organisation, you can start to build your ‘dream high performing team’ or to really increase the current levels of your teams effectiveness. As part of Talent Dynamics, we have created an online profiling tool which actually establishes someone’s personal profile, explains their natural talents and shows you where they can add most value and leverage to your business. Understanding how the corporate world would benefit from the knowledge and tools provided by Wealth Dynamics, Michelle launched Talent Dynamics in 2009: an extension of Wealth Dynamics, with the specific intention of empowering large organisations to create high performing teams that are structured around their natural talents and abilities, to deliver sustainable increases in profit. She is passionate about Building High Performing Teams in business, Entrepreneurship, Social Ventures and making a real difference. Her energy and sense of fun leave her clients inspired and full of clarity. Michelle is a principle voluntary leader of an international not for profit organisation called XL Nation and was the first person to source and run a step UP event for local teenagers in Europe. All of this she does using her knowledge of building high performing teams and Talent Dynamics.